ONLINE TICKETS FOR FRIDAY 16TH HAVE NOW ENDED. DO NOT PANIC! YOU CAN STILL PAY ON THE DOOR. £5 PER PERSON. 48 Beers and 7 Ciders and a Prosecco bar PLUS Caterham Round Table’s own bottled beer, new for this year. New for 2018. Meet the brewer! More details to follow. 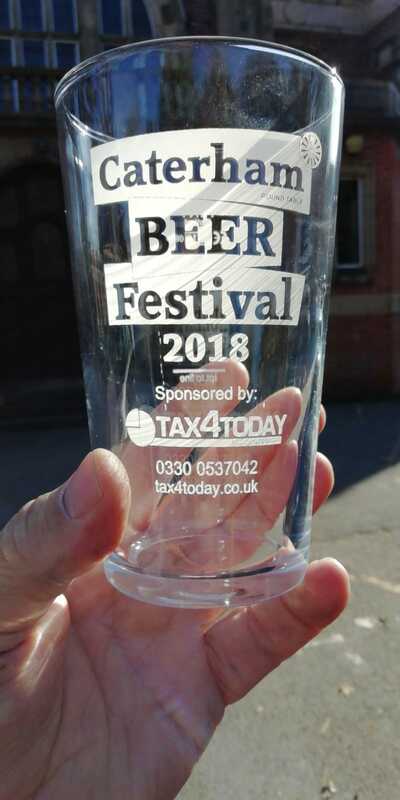 This year we have a representative from Westerham Brewery coming to our festival with four of their best beers which will be in our third room away from the two main bars. They will be giving a talk and there’ll be a chance to ask questions or just have a chat while sampling their finest. There are lots of ways to get involved. We always need keg-sponsors, Fizz-bar sponsor. 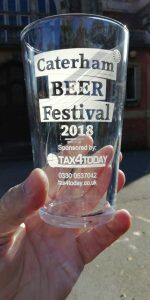 With premier sponsors for various items, such as; Beermat Leaflets, Advertising, Bars, Glasses, Wristbands, raffle sponsors. See the dedicated website for all the details.